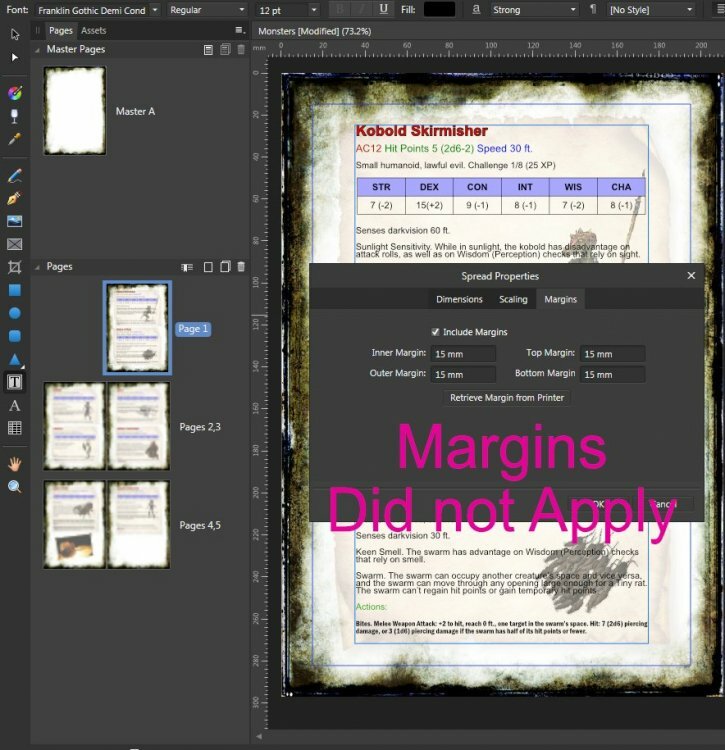 Margins from Mater to not apply to pages when applying Master properties. Sorry the delayed reply. This is something the dev team is already aware/looking into. It's an area that still needs improvements and may see some changes in future updates. i've just got the same "problem" when trying to apply the Master-Pages spread properties to all as well as a specific set of pages, the dimensions are not being adjusted accordingly. This also happend when just applying "clean" Master-Pages, on which only the Dimensions have been changed. I have similar issues with Master Pages. Strangely, they seemed to work before the latest 157 release. When I apply a Page size Master Page, Margins revert to a left-hand page. I created a Page size (as opposed to Spread size) Master Page for left and right hand pages. The left page master seems to work fine. The right page master shows margins sort of correctly, but does not apply the correct margin to the page it's assigned to. This was working before. When I check the Master Page, the margins are correctly placed, but not when applied to a page. Seems to revert to left hand page margin settings. Now, about Page size Masters: they all seem to think they're left side pages in a two-page spread. So, the Inner Margin refers to the Inner Margin of the left page, but the Outer Margin for a right side page. This means I have to flip the margin sizes for them to look right. Anything placed on the page will remain in the correct location, but the Inner and Outer Margins are flipped. I'm sure this could all be sorted out if there was a way of telling a Page size Master that it's a left side page or a right side page--or even a neutral page. BTW, I have the Document setup as a two-page spread to lay out novels. 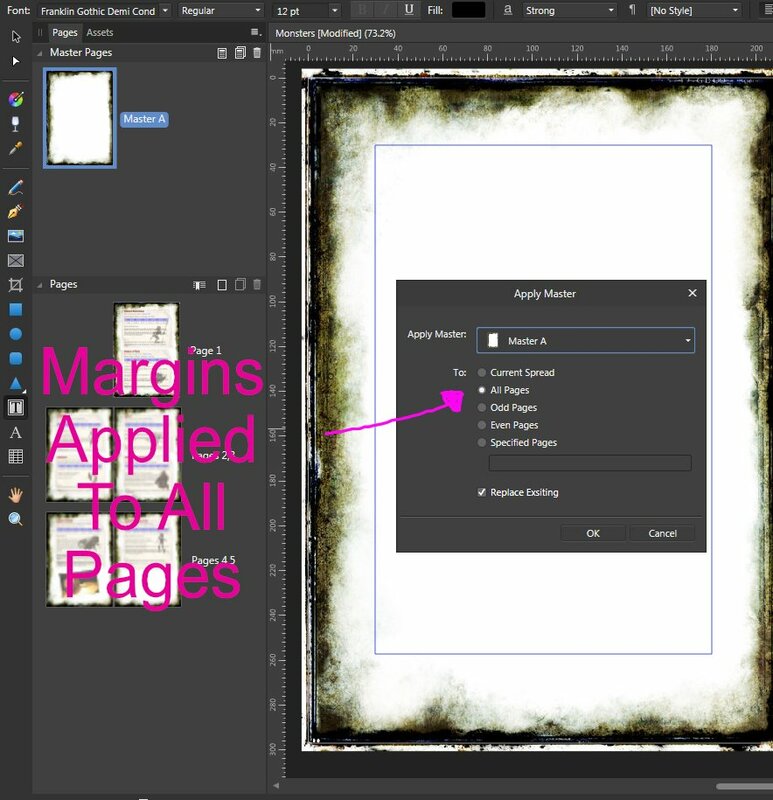 When applying Spread Master Pages, all is well as long as you don't have to break a spread to start a new chapter by applying a different Master Page. For example, I have a Master Page with chapter start layout for left and right pages, and a Master Page for left and right body pages. So, when I start a new chapter, I apply a chapter Master Page to the left page of the spread, then a chapter body master for the right. This is reversed if the body ends on the left page. The problem is that the two Master Pages don't seem to play nicely. PagePlus had some little issues, but generally worked. As I said, this also appeared to work in earlier betas. Another user with this problem. I agree with ToOldForThis. Being able to specify that a Master page is left or right seems to be the key here. 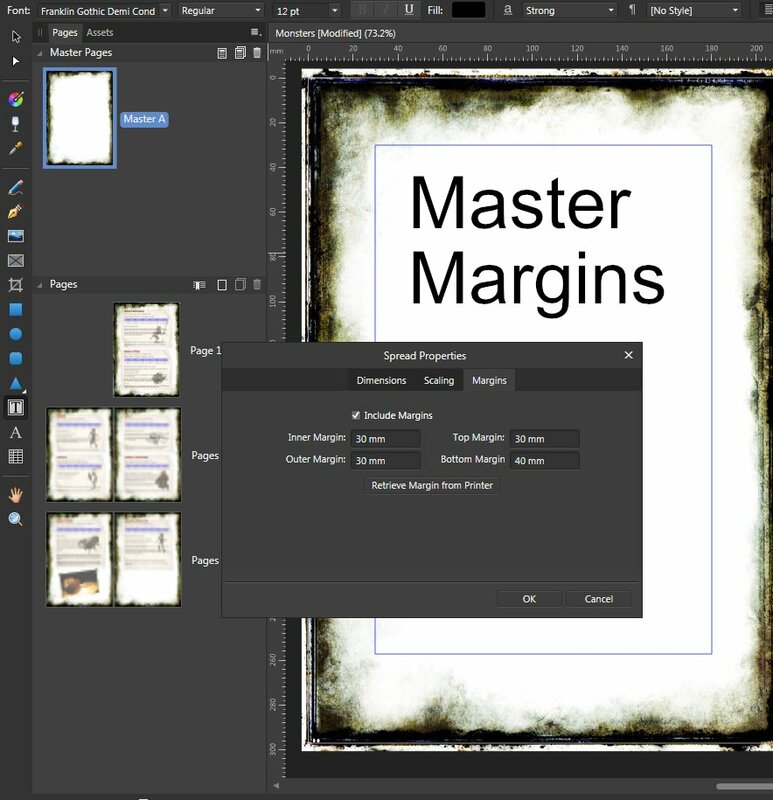 I can create a full spread Master that works, or I can create as many single Left side Masters as I want. I can only create one Right side Master, and only if it is the first page I create. For now, I have a work around of creating a full spread and only filling in the right side. Ain't pretty, and I don't know if it will work in all cases.